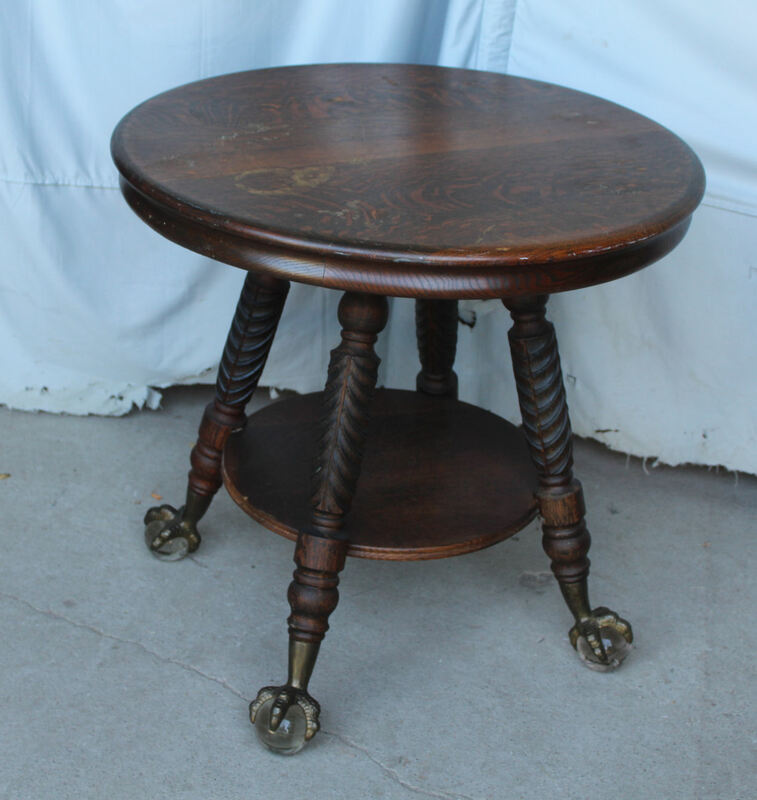 Antique Oak Parlor Lamp Table – large claw ball feet in original finish. 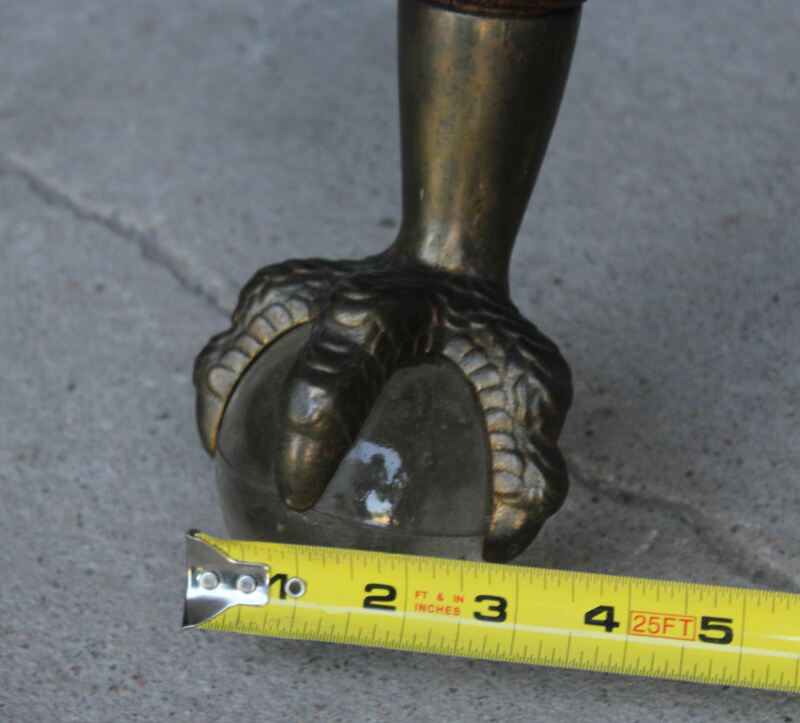 This round table top is solid quarter sawn, the legs have a feathered carved design in them and supported on the large metal claws with 3 inch glass balls .Measures 30″ Diameter and 29″ height. Circa 1900.